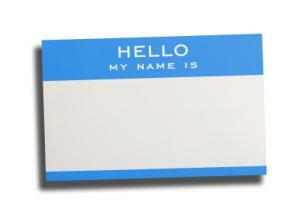 A name change after divorce is not a requirement, but some women choose to do so. It can be part of moving on to the next phase of life after the marriage ends. Since a divorced woman is not required to make a name change when her marital status changes, she may choose to keep the same last name she had during her marriage after it ends. If there are children involved, she may want to avoid confusion that may result if her last name is different from that of her offspring. For some women, ending their marriage means no longer having tangible reminders of the time they were married to their spouse. If a woman feels very strongly that she wants to erase as many reminders of this time as possible, she may want to reassume her maiden name as she builds a new life for herself as a divorced person. If a woman decides that a name change after divorce is what she wants, there are specific procedures she will have to follow to make it official. In most parts of the United States, a woman can request that the name change from married name to a former one be dealt with in the divorce decree. Once the formal order has been handed down directing that the woman's name has been restored to her maiden name or her birth name, she will need to get certified copies of the document. To formally change her identification documents, she will need to submit a copy of the order with a form or letter of request. In some states, the divorce order can be modified after it has been signed to deal with the matter of changing the woman's name after divorce. To find out whether this can be done and the correct procedure, the woman should check with her lawyer's office or the court clerk in the county where the divorce was granted. More than likely, the woman's former husband would not have to be notified of the request, since granting her the right to use a different name doesn't materially affect the terms of the divorce. It may be possible to file a motion for the matter to be dealt with very quickly by having the woman indicate what her "new" name will be and having the judge sign the paperwork. If the woman has made a will, signed a living will or made a power of attorney, the name on these documents will likely need to be changed as well. It's a good idea to check with an attorney to find out what is required to keep them in force. The decision about whether to make a name change after divorce is a very personal one. It is an option for women who decide they want to have a new name to go with their new marital status.